The cocaine market has seen a massive dive in prices over the last thirty years, dropping nearly 90 percent. Not many drugs have seen such a massive reduction. What is the reason behind this shocking statistic? Here are three reasons cocaine prices are going down. Prior to the 1980’s, cocaine was a small-time business. It was processed in basements of Colombian homes and sold by a one or two-man trafficking operation. With demand came big business as drug gurus built empires around cocaine, utilizing technology and modernizing their methods of processing, transporting and retailing. For example, the use of cellphones enables dealers to make more sales each day. As a result, prices dropped 60 percent over the next decade. You can’t carry much cocaine in a suitcase. You can, however, smuggle massive quantities on a private plane, submarine or cargo ship. That is exactly what happened throughout the 1980’s. Drug kingpins began buying up modern forms of transport, making trafficking far easier than it had been a decade before. Labor also became cheaper as more and more people became desperate for work after being incarcerated during the war on drugs. In addition to modernizing transport and equipment, drug lords got smart about their method of transport. Rather than ship their drugs in one go and risk seizure of everything, they pooled their resources with other producers. By breaking shipments up into different portions, each drug lord spread their risk out so that one interdiction didn’t rob them of everything. Once cocaine has made it into the hands of the consumer, merchants can count on having regular customers. 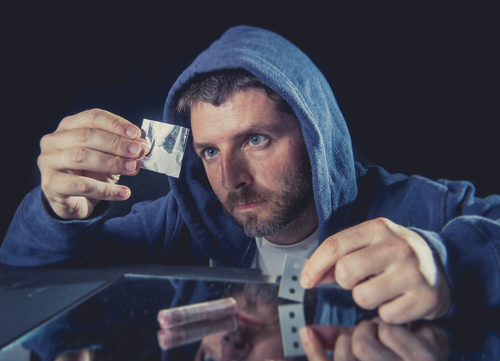 Cocaine is one of the most addictive drugs on the market—hence, it is often dubbed “the caviar of street drugs”. The high becomes so sought after that people lose jobs, families and their lives in pursuit of it. There are numerous horror stories of mothers who selling their children, women selling their bodies, or professionals becoming bankrupt over this fine, white powder. Cocaine may be cheap, but its effects are costly and often fatal. If you or a loved one are addicted to cocaine, the time to get help is now. No matter how hopeless you may feel, it is possible to get sober and return to a normal life again. People do it every day and find that life is richer and more pleasurable when they are not enslaved by drugs. Rather than the desperate spike and miserable fall of drug use, they find a steady and even happiness that no drug could ever provide.